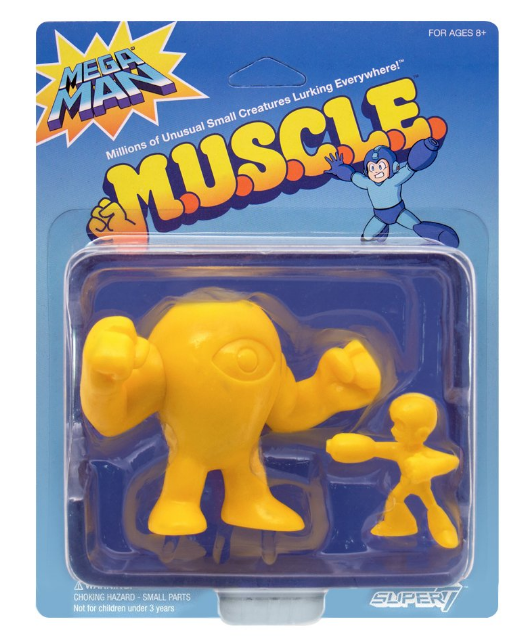 Rockman Corner: Grab the Mega Man vs. Yellow Devil MUSCLE Two-Pack Before It's Gone! Grab the Mega Man vs. Yellow Devil MUSCLE Two-Pack Before It's Gone! Previously a New York Comic-Con 2017 exclusive, Super7's delightful little Mega Man vs. Yellow Devil 2-pack is now available to purchase online. It will set you back a cool $10.00. Supply is limited and there's no telling if the pair will be back in stock. Snag 'em up ASAP! While you're at it, why not pick up the complete Mega Man MUSCLE series too? They're neat little desk trinkets. Woo! I am a consumer whore! They're supposed to look the way they do. All MUSCLE figures have that same awkward style. Does it come in X? You're about to lose, Rockman! Quick! Tag in Muscleman, for the save! Thanks for the heads up Protodude!